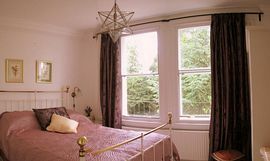 This luxurious elegant apartment is in a prime central location and will appeal to those seeking a quality hotel alternative. The apartment has a scale and proportion rarely seen today, with a stunning galleried drawing room, decorated with sumptuous fabrics and classic tones. Flat screen TV and Hi FI sit comfortably amongst period antiques. Modern kitchen facilities support elegant dining. Two full sized double bedrooms enjoy views over Henrietta Park each with its own bathroom. There is also sleeping accommodation on the gallery for 2 more. Grade 1 listed Georgian ambience. Close level walk to everything - no car required. 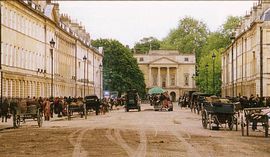 Turn directly left into Great Pulteney Street on the east side of the city. £850.00 - £1,500.00 per week depending on occupancy. 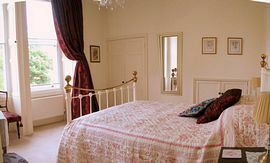 Also offer short breaks (2nights minimum) & reductions for small party size.